The latest news from Team Alderney member, Sure International. Sure and Mimecast have worked together for more than a decade, developing an exclusive offshore secure email product that protects businesses of all sizes in the Channel Islands, Isle of Man, the Cayman Islands and other offshore jurisdictions. “In the more than ten years that Mimecast has worked with Sure, we’ve been able to see first-hand, the very high levels of technical expertise that Sure has at its disposal,” said Alan Kenny, GM Europe at Mimecast. 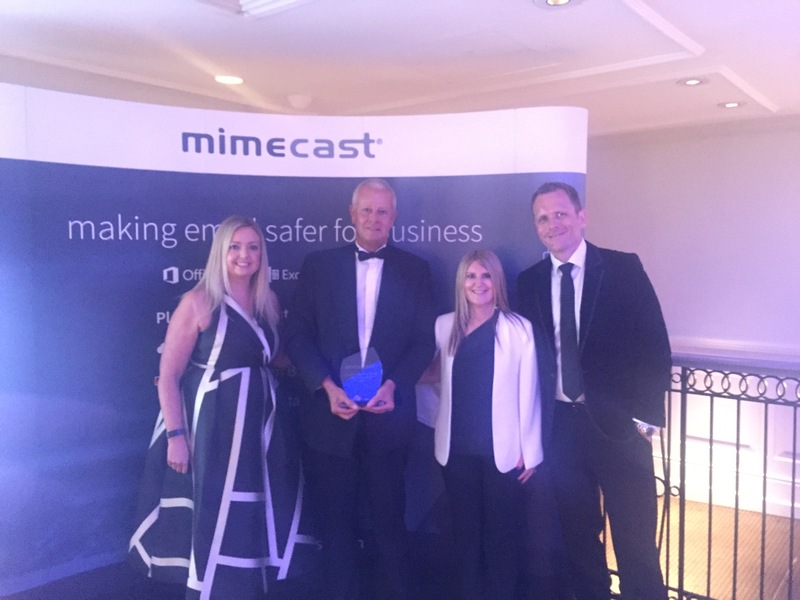 Graham Hughes, Chief Executive of Sure in Jersey, is extremely pleased that the firm’s role in the development of Mimecast Offshore has been recognised in this way. “This is a fantastic accolade that confirms Sure’s high standards in both the delivery and the support of services provided by Mimecast Offshore,” said Graham Hughes. “As businesses prepare for greater data security regulation in the form of the EU’s new GDPR standards and simultaneously face an ever-growing range of cyber threats, more than 90% of which are propagated by email, it’s crucial that offshore firms can rely on a product that keeps them safe and respects the need for their data to be held securely in specific jurisdictions.